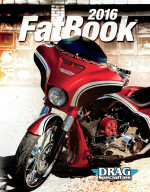 The NEW Klock Werks Billboard FLARE Windshield for your Road King, King Size 19 3/8'' tall x 26 5/8'' wide Detachable! Modeled after the Original FLARE Windshield for Baggers. For use with your stock mounting hardware.